To read more about these points you should read the first part of the article. To make the user interface more refreshing and interactive Apple has added the visual effects from iOS 7 onwards. These visual effects consume lots of battery from your device. So to save the extra juice on the device we would recommend you to turn down the Visual Effects on the Phone and believe me you will hardly notice any change on your device operation but will save lot of battery. To access this you have to go to Settings > General > Accessibility > and switch on Reduce Motion to temporarily turn off all the parallax effects. Note that this will replace many system zoom effects with cross-fades which don't look as nice, but might just give you those extra few minutes power that you need. I know you will say, these are best part of using Smartphone, but I would recommend you this step as it will help you to save the battery when you are traveling, or when you need some extra power to survive those extra hours created due to over time on work or due to slow running train. Some apps burn through your battery much faster than others. Heavy use of the processor and GPU, for 3D games, or the GPS chip, for maps and location-based apps, uses up more energy than reading content in iBooks, for example. Spotlight in iOS is constantly working away in the background, indexing your data so you can easily find it later. Usually, that's great, but not when you're short on power. Settings > General > Spotlight Search enables you to turn off some or all Spotlight categories. Yes you mail box is also draining your device battery continuously; we would recommend to change the setting of Mail Box from push mail to pull mail. It protects your device when you are in office and accessing the mail from your workstation, at that time it will help you to save more battery. Push constantly polls the server so when you get a new email the iPhone knows instantly. You can even get a notification every time you receive an email. If you don't need to know every time an email comes in turn it Push off. Tap Settings > Mail, Contacts, Calendars and tap Fetch New Data and turn Push to Off. 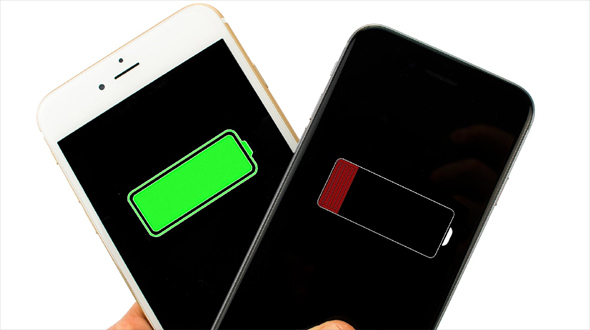 Location Services is one of the major sources of battery drain from your iPhone, so it is recommended that you should keep the location service on the OFF mode to save the battery. The location service is used by many Apps installed on your device and it keeps the location service active and it leads to lots of Battery Drain from your device. To stop apps from using Location Services, tap Settings > Privacy > Location Services and either turn off Location Services altogether, or deselect any apps that you don't need to access your GPS. So these are some of the cool tips for saving the Battery on your device, there might be many more, share your tips on the comment section below and we will publish in our article with your name.